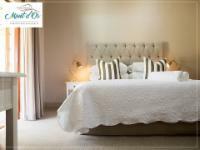 We are situated in the spectacular Cape Winelands and fortunate to be closely and just an easy stroll away from Franschhoek's great variety of restaurants, wine tasting, chocolateries and shops. All rooms are air-conditioned and have a mini-fridge, Wi-Fi, TV and safe. 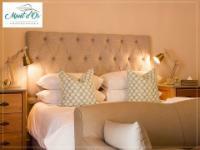 With a relaxed atmosphere coupled with elegance, Mont d'Or is one of the best places to stay in Franschhoek. 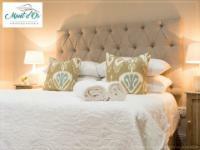 Should you seek for a most special, memorable getaway in Franschhoek with world-class creative comforts, you would certainly struggle to find Franschhoek accommodation that could rival the grace and exclusivity of Mont d'Or. Stay between 18 Apr 2019 and 06 May 2019 and get 20% off. Mont d'Or Franschhoek is 0.7km from the centre of Franschhoek , the nearest airport 58.1km (Cape Town International Airport).